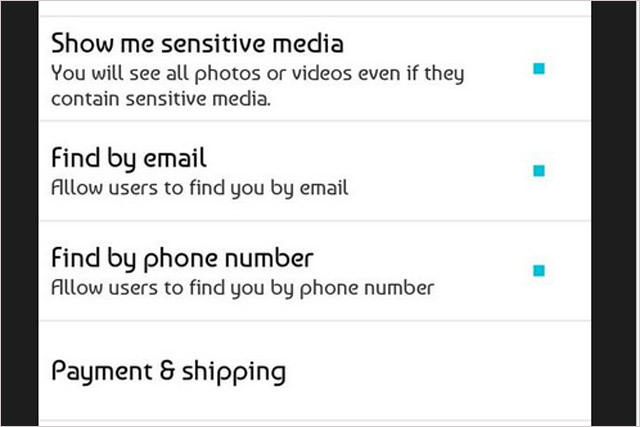 Twitter is nearing a move into ecommerce, with a number of users spotting a newly introduced but inactive setting for "Payment & Shipping" inside the social network's Android app. According to a report on The Next Web blog, the setting was first highlighted by user @am_Bix, who found the dormant option in the settings menu. A number of other users have also spotted the setting. Twitter is renowned for trialling changes among small numbers of users. Twitter has been making forays into ecommerce in recent months, so the latest move comes as little surprise. In May it partnered with Twitter to launch an '#AmazonBasket' service that allows shoppers to add an item to their shopping baskets simply by replying to tweets. The company has also been active in developing new advertiser-targeted initiatives. An ecommerce option would be of great appeal to brands looking for other means to drive revenues beyond advertising on Twitter. Twitter is looking into various measures to further monetise its business These have included a myriad of new advertising platforms. Its increasingly commercially minded stance is paying dividends. Last month, the social network beat analysts' expectations and boosted Q2 revenues by 124% year on year to $312m (£184m), although the social network made a loss of $145m (£86m), up from $42m (£28m) in 2013.